Come out to our next adoption and fundraiser event hosted by The Grooming Place Pet Shop. 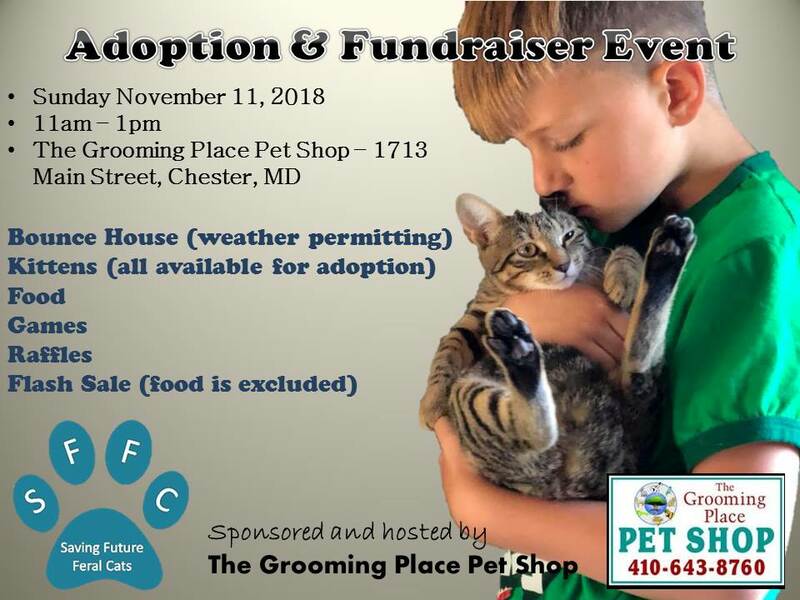 Sunday, November 11, 2018 11am-1pm 1713 Main Street, Chester MD We will have a bounce house (weather permitting), plenty of kittens that are available for adoption, food, games and raffles items. The Grooming Place will be having a flash sale during the event as well. Come out and support our efforts and play with some kittens.